The Magic Cafe Forums - Anyone keep their pets outside? I am afraid to keep my pets outside because of the weather. Anyone of you keep your pets outside? You will have to build an enclosure with a heat source. I have some planes by a dove grower, have to see if I can find them. Also the drinking water can't freeze. Go to farm supply websites and look in the chicken coop supplies for winter housing solutions. There are all sorts of nesting box heaters and water heaters to prevent freezing. Wow, Jim. What a coincidence. I just bought one from Amazon recently similar to the one you posted. I bought it for my two little dwarf Netherlands. I like how they hop around from end to end. I was thinking about buying another one identical to put them end to end giving them more hop space. Magicians have been using my All-Weather Dove Cote Plans to build a safe outdoor dove cote for many, many years. it's entirely possible to keep them outside all year around. www.g2meyer.com/dovecote for details. Location is a big factor here. I keep doves in an outdoor aviary year round. Largely open air, because ventilation is important for doves, quail, chickens, whatever... A portion of the flight is always covered and draft free, while I keep half (just under 100 sqft) of it open air for 3 seasons. My only winterization if to poly wrap the open air section of the flight. I provide no heat but the temps here aren't as low extreme as you have up north. We rarely get to 0 degrees but do have several single digit temperature days throughout winter. Drafts are much worse than cold and if you keep your bird's housing free of them, that will go a long way to keeping them healthy. Presently no rabbits, but I've kept them in the past. 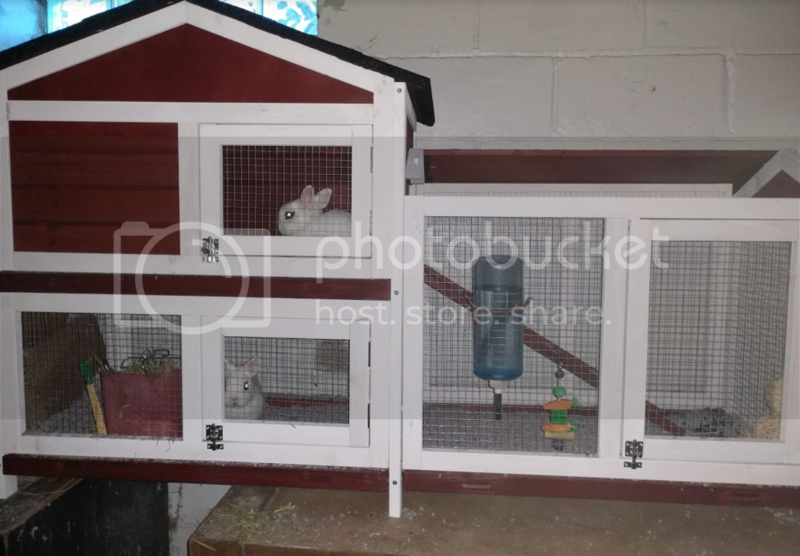 Also without heath through winter, but also in a draft free hutch.